Last update, I was in the middle of wrapping up the work on the dashboard. This end of the project has been interesting, mostly due to parts issues. The list of things to do: 1Factory Radio Bluetooth Head Unit, LED Light Installs, Odometer Fix and new cigarette lighter/power outlet install. The head unit install went flawlessly and a video demonstrating how it works will be coming once the dash is buttoned up again. 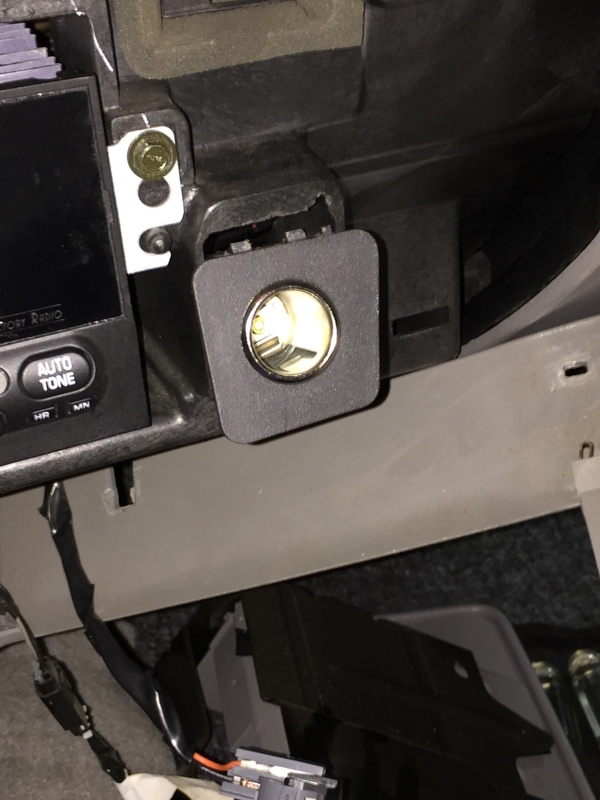 I had no issues putting the new 12v outlet/cigarette lighter in as well, just a little bit of messing/fiddling with the plastic housing. 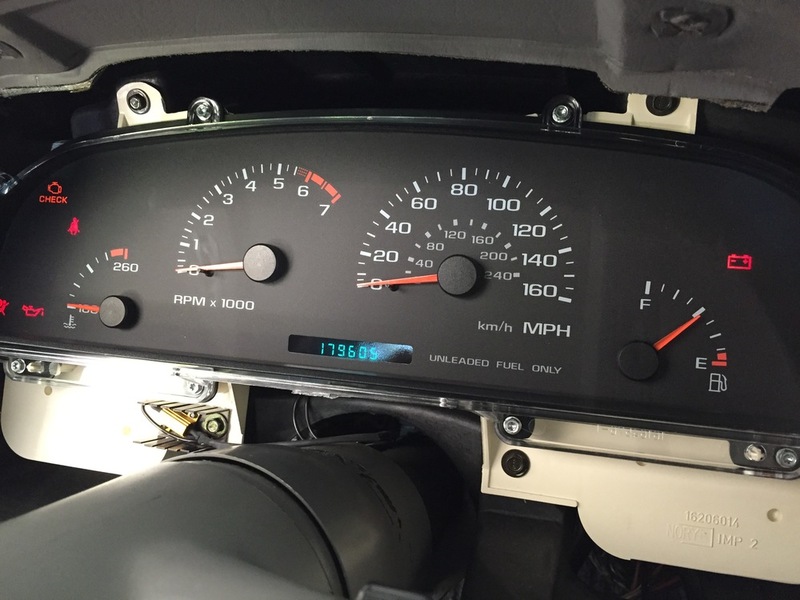 The odometer fix went great, but a stupid mistake by me, required the gauges to be fixed. At least that is now behind me and they are back where they belong with a super bright odometer readout. I used the kit from NAISSO, which required soldering. The LED Lighting: I wanted LEDs for various areas, nothing too crazy. The door courtesy lights, footwell, shifter indicator, headlight switch (the Honda bulb worked, just felt an LED would last a lot longer), and I also put one in the trunk. Super Bright LEDs has a nice website and good customer service, but their shifter indicator bulb was wrong on the site and to top all this off, the post office lost the most recent box coming to finish this. So right now I'm stuck, waiting on 3 small LEDs... Once all this is wrapped up, the Impala is going to the body shop for spoiler painting and fitment. A full story is coming on that as well. Following the spoiler upgrade, the major engine transplant will begin... Figuring out my header problems now, and the SLPs are gone forever, kind of sad considering we've had them since 2002. So stay tuned for more to come, as I should have some more free time on my hands soon. Projects around the house, spending time with the family, the Cavs in the finals and work have limited my time in the garage. Soon enough though, I will have more to report and share. Just a quick followup, below; I have placed a picture of the factory wiring that runs to the radio harness. This was needed to guide me through the antenna switch setup, as I found two green wires and was unsure which one to splice into. I just snapped a pic of the factory service manual, enjoy! Thanks for reading!